The effects of corruption have different, and often disproportionate, impacts on women due to prevailing social and cultural norms that deny political, social and legal gender equality. Poor women in developing countries are especially affected by corruption due to, among other factors, household responsibilities, lack of control over household resources, and socio- political exclusion. On the other hand, women’s unique experiences also provide differentiated knowledge on the challenges and solutions to address corruption, particularly at the local level. 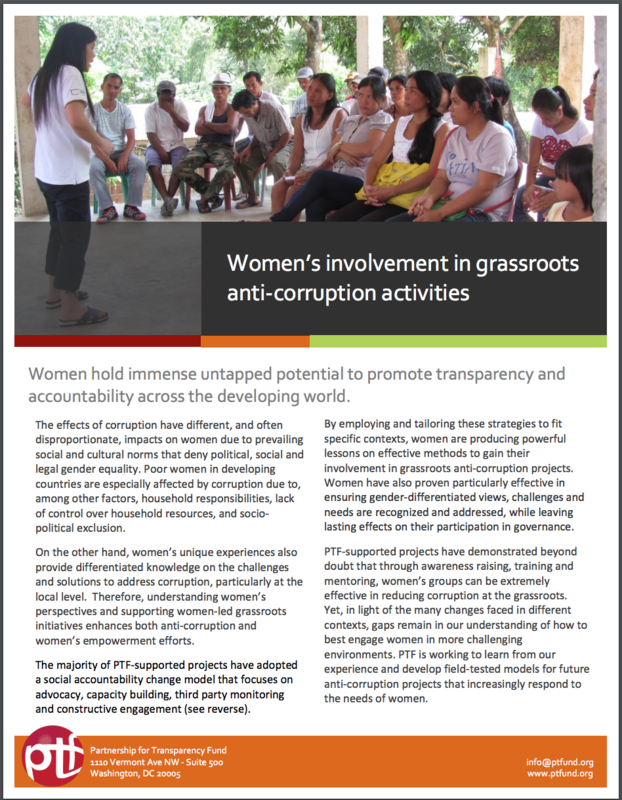 Therefore, understanding women’s perspectives and supporting women-led grassroots initiatives enhances both anti-corruption and women’s empowerment efforts.